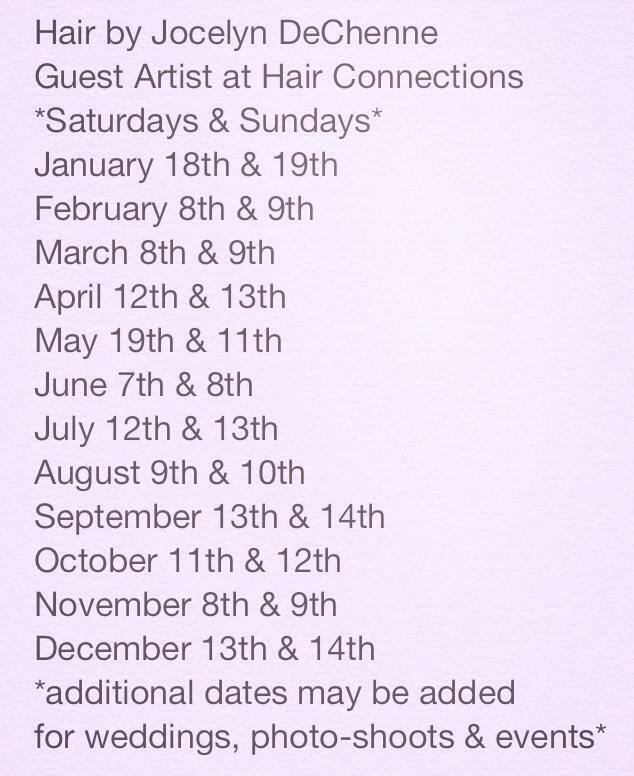 I am so excited to share that I will now be Guest Artisting once a month in my hometown Port Angeles at Hair Connections! Please stop by and visit. I’ll be there second weekend of each month. Call (707) 812-8642 or visit styleseat.com/jocelyndechenne to secure your appointment today!